The most prestigious race in the cycling calendar and one of the most notable events in sport is almost coming to an end this week, and boy will it be exciting! We are, of course, talking about the Tour de France. An event that has had many storylines down the years but continues to attract spectators in their millions , whether that’s watching on the side of the road or from the comfort of their television at home. In honour of the big race, we’ve put together a little fact file to answer your queries with a particular focus on some of the jerseys of the Tour de France . You never know, it might just inspire you to book one of cycling holidays to France. Cycling in France is one of the most popular pastimes which is why the TdF has several areas and regions across the country to conquer. The race is split up into 21 different stages and takes the riders through all variations of terrain from the uphill climbs in the mountains. speedy sections on the flat and the mighty cobbled sections. This year’s first stage started at Noirmoutier-en-l’île where riders had to be wary of the blowing wind coming off the shores of Vendee. Each of the 21 stages also falls into individual categories including flat, time trials and then, of course, the dreaded Mountain stages where the Tour de France is often won and lost. • Green Jersey – This is the points prize. You get points for finishing within the top 15 on a stage and on the intermediate sprints. It’s often won by the sprinters as their teams work hard to carry them through the stage and put them in a position to battle it out for a sprint finish. • Polka Dot Jersey – It is the most comical of the jerseys that are worn, as it looks more like something you would give someone as a forfeit, but in truth, it’s very much the opposite. Riders climb thousands of metres up Alpine mountain s, with the best rider at the end of those stages earning the right to wear this red and white number. It’s certainly a prized possession. • White Jersey – As with any sport, it’s only right that there’s a chance for those youthful legs to get their just reward. The is where the white jersey comes in as this goes to the best young rider aged under 25. Maybe that is something you can include if you plan to take the whole family to one of our cycling tours in France. • Yellow Jersey – This is the famous jersey that the main riders in each team want to win. If you are lucky enough to pull it over your shoulders, then you can be proud of the fact that you are the overall race leader on total time since the start of the Tour. Finish the final stage wearing this and you’ll be crowned Tour de France champion just like Britain’s Sir Bradley Wiggins and Chris Froome have in the past decade. Cycling tours in France are the real crème de la crème when it comes to cycling holidays in Europe. There really isn’t a place quite like France for accommodating cyclists. Luckily for you, we have an excellent range of holidays to this great country with a wealth of attractions to see and visit throughout ‘L’Hexagone’. The Dordogne, Provence, Burgundy, Bordeaux, Alsace, the Loire Valley and the Aveyron are just some of the areas that you can explore on our wide selection of French cycling holidays. Of course, it wouldn’t be right to talk about the Tour de France without a mention of Paris. The capital city is the final destination for the riders with many a famous picture taken of the winner coming down the Champs Elysees. 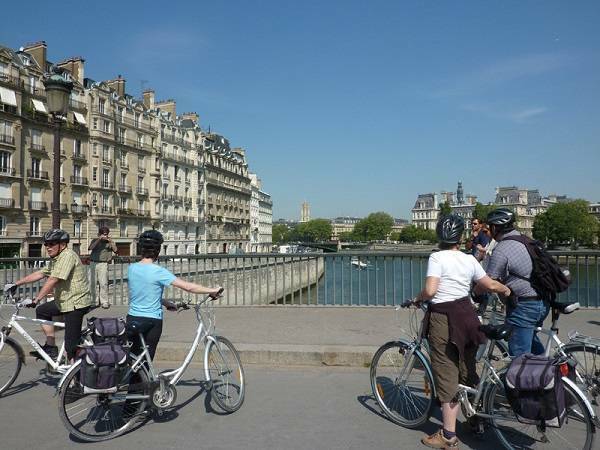 With our Paris to Versailles cycling holiday, you can experience this great destination from your very own bike saddle. Discover must-see royal castles, Vaux le Vicomte and its French gardens ‘à la française’ and even pedal along the Seine, the emblematic river winding through the area. For Stage 7 of the Tour de France, the riders stayed in Fougeres, and our Brittany and the Emerald Coast takes a trip to to this wonderful town, known for its impressive medieval castle. This 8 day trip starts and finishes in the medieval town of St Malo this route follows the picturesque Emerald Coast, including stops at the awesome 8th century abbey Mont St. Michel and the ‘city of the sea’, St. Malo and of course a visit to the Fougeres castle! Add to that several stages going across the south of France including Provence, which is another cycling tour destination of ours. Passing through the village of Gordes, the ochre town of Rousillon and the castle of the Marquis de Sade, Château de Lacoste, nowhere else can you can see the highlights of Provence as well as you can here. If that wasn’t enough, another of the stages starts in Carcassonne, which our Canal du Midi cycling holiday passes through. The wealth of culture in this area of the world includes delightful culinary treasures with the vineyards producing excellent wine, and restaurants making tantalising cuisine. If you hadn’t already guessed it, cycling in France is quite simply spectacular. 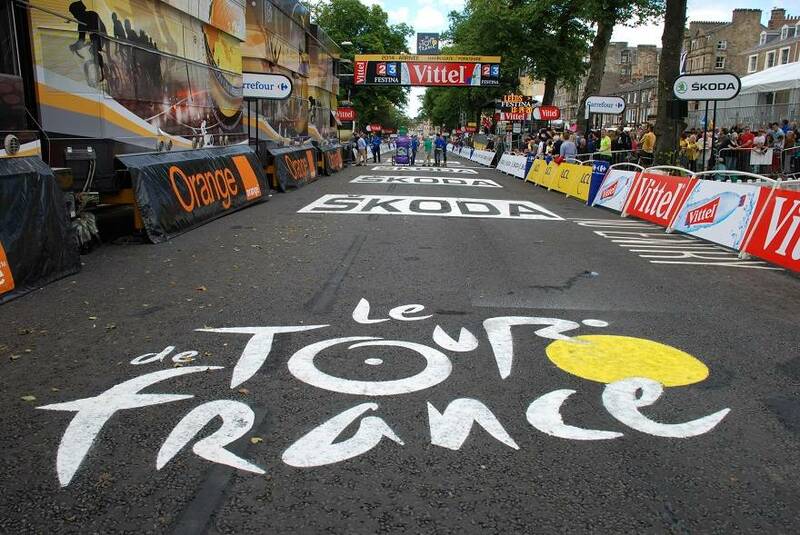 Fancy booking Tour de France cycling holidays with Freewheel? Ready to book one of our cycling tours to France on the route of the Tour? Then give our cycling experts Steven and Simon a call to discuss all the finer details about booking your next cycling holiday today.